Waiting is an uncomfortable task—whether waiting for time to pass, waiting for a special event, waiting for water to boil. It’s even more difficult when waiting to see a medical professional. If you happen to be going in to a clinic for a check-up, it will probably be uncomfortable. If you’re waiting for a treatment at the hospital, that may be unpleasant. And it goes without saying, if you’re waiting for test results, that situation could definitely involve tension. As it turns out, the place where everyone checks in and passes time until their name is called can be a big contributor to jittery nerves—or it can provide a pleasant distraction depending on how it’s set up. Most waiting rooms in clinics or hospitals are arranged for efficiency, trying to get as many chairs lined up as possible. This stiff professional air may speak to efficiency and competence, but there’s very little that conveys comfort and reassurance. The only positive distraction might be a stack of magazines (many out-dated), that may also speak to a lack of care. Keep the chairs from lining up against the wall around the perimeter of the room. There is a stiffness in this arrangement of seating possibilities. Instead try to create smaller “pods” or circles to mirror a more natural look. Do not place chairs so people have their back to windows or glass walls. Being up against transparent walls does not provide those who sit there with any sense of protection or privacy. They are already vulnerable; assure that the patients are shielded from outsiders being able to see them. Provide a pleasant distraction (not just television or magazines). This could be a piece of artwork, a fountain, a large mural on the wall, or a fireplace. It gives the patient a chance to get outside of themselves for a moment and thereby alleviate some anxiety they may have. Include plants or flowers in the waiting room. They represent vitality and growth so they give a message of hope. Silk renditions or even photographs of nature can assist in healing if upkeep is a concern. The goal is to create a space where healing can begin even before a patient sees a medical professional. 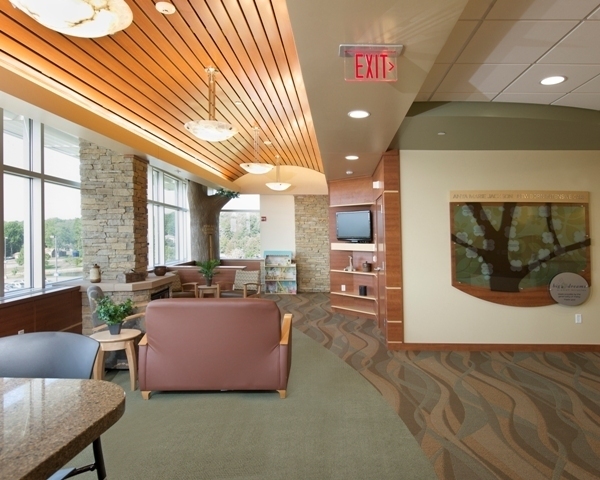 Using the principles of Feng Shui, the waiting room can be a comfort for a patient. If they immerse themselves in a healing ambiance, it will assure that their ultimate healing can more easily take place.